One Ayurvedic Medicine our Ayurveda Melbourne practitioners are commonly asked about is Triphala. So, let’s uncover what this staple in traditional Ayurvedic medicine is all about. The herbal concoction has been used for more than 1000 years as a healing remedy. Due to its traditional use as a bowel tonic, Triphala is often prescribed as a mild laxative. Although many people are aware of the herbal blend laxative qualities, it has a myriad of other benefits that may be even more significant. 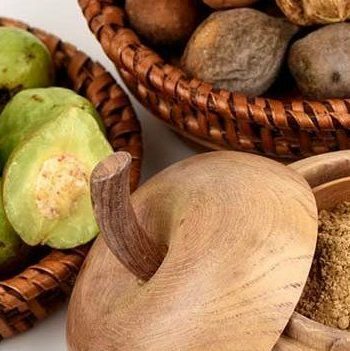 For example, Triphala has rich antioxidant properties which you can read about in this detailed research article that was published in the International Journal of Pharmacognosy. Also known as Triphala Churna, the formulation is well regarded in Ayurveda due to its multitude of health benefits for all of the doshas. The literal meaning of Triphala is “three fruits” as the mixture consists of three medicinal fruit plants native to India. For this reason, Triphala is considered a polyherbal medicine. These types of medicines are popular in Ayurveda as it’s believed that additional therapeutic effectiveness can be experienced from combining synergistic herbs, rather than taking any one individually. The three fruits Triphala contains include: Amalaki (Emblica officinalis), Haritaki (Terminalia chebula) and Bibhitaki, (Terminalia belerica). 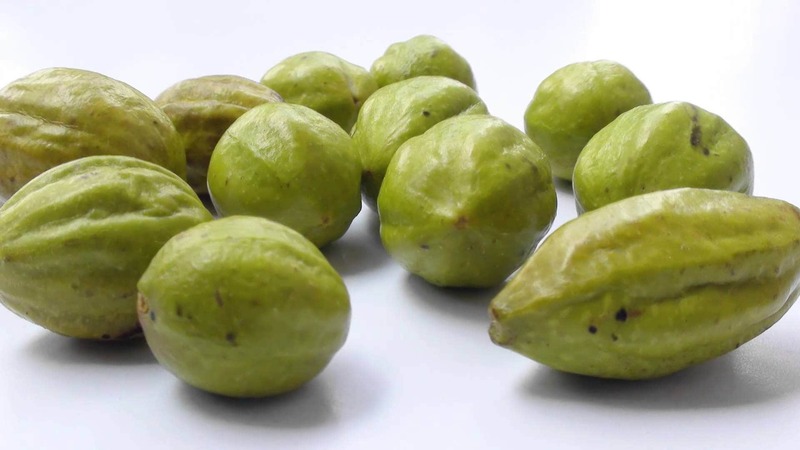 More widely known as the Indian gooseberry, Amalaki is a powerful fruit in it’s own right, having been used in Ayurvedic medicine since ancient times. 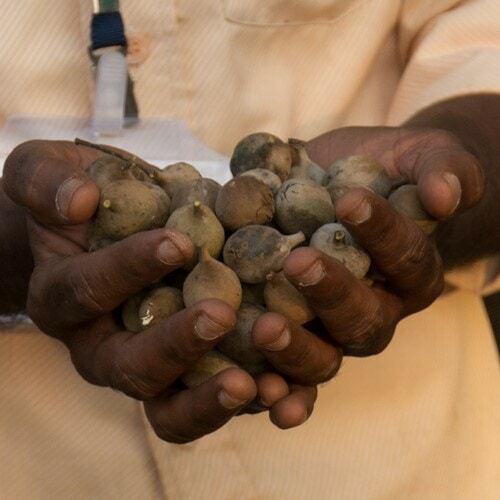 The berries are grown on small-to-medium sized trees throughout India. They are edible, with a fibrous texture and sharp, sour taste. To increase palatability they are commonly soaked in sugar syrup, pickled or added to dishes. Amalaki is highly nutritious – packed full of vitamin C, minerals and amino acids, as well as tannins, phenols and rutin. It’s benefits include helping to lower cholesterol and treating symptoms like constipation. In addition, Amalaki is especially useful for balancing Pitta. This small, green fruit is grown on Terminalia chebula trees in India, Thailand, China and the Middle East. Nicknamed the Tibetan “king of medicine”, Haritaki has long-established medicinal usage in Asia. In fact there are several depictions of the healing Buddha offering a handful of this fruit. Haritaki is calming to Vata and thought to have a number of positive health benefits for the brain and heart, as well as anti-inflammatory properties. In Ayurvedic medicine it is often used to treat digestive issues and as a remedy for conditions such as asthma, ulcers and heart disease. You can read more about how our Ayurveda Melbourne practitioners can help you with digestive disorders on our website. 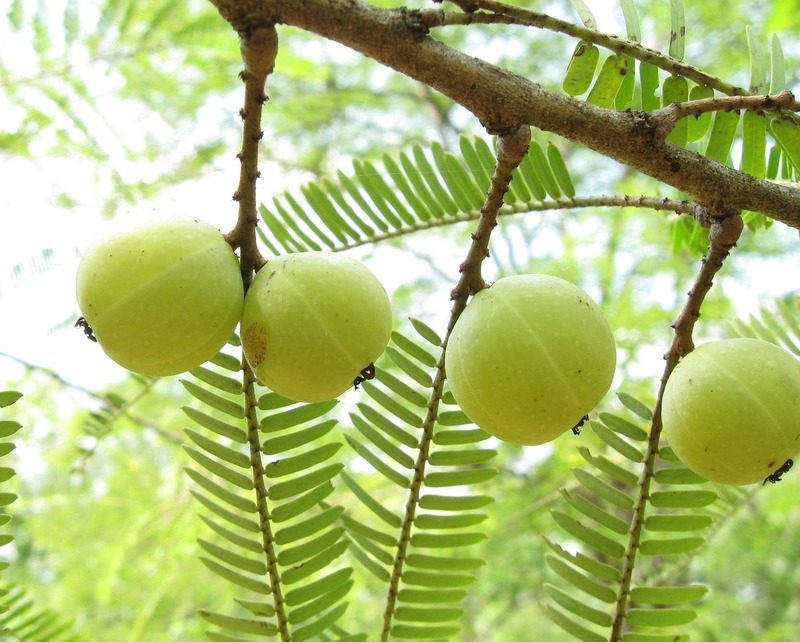 The third fruit in Triphala is Bibhitaki, commonly used to treat bacterial and viral infections grown in Southeast Asia on the large Terminalia bellirica tree. The fruit is also a potent rejuvenator with with a range of detoxifying qualities on the muscles, bloody and the bodies fatty tissue. Otherwise known as “the one who keeps away disease”, the fruit has many benefits on Kapha. In Ayurvedic medicine, Bibhitaki is also frequently used to regulate blood sugar and treat diabetes. 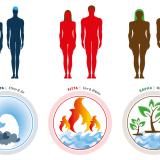 As explained above, all three Triphala components provide benefits to a specific corresponding tri-dosha element. Throughout the world the use of Triphala has risen in popularity due to its numerous alleged health benefits, the most notable being benefits to digestion. The herbal bend essentially assists with digestive regularity. From experience treating clients who suffer from irregular bowel habits, our Ayurveda Melbourne Practitioners understand the value of Triphala. Through pulling toxic residue (also referred to as stagnated Ama) from the digestive tract the absorption functions of the colon are increased, hence the formulation promotes balanced, full elimination. The colon is perceived as the seat of Vata, common Vata disorders therefore benefit from Ayurvedic medicines that assist with the colon’s function. 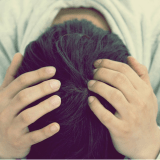 Many bowel diseases actually begin as imbalances of the Vata, regardless of whether they are exacerbated by Kapha or Pitta issues down the track. The “wind” of your digestive tract becomes balanced from Triphala as the concoction helps to move things along and your bowels to find an appropriate regularity for optimal absorption. If you have experienced any of the issues mentioned, our Ayurveda Melbourne Practitioners can provide you with further information on Triphala and how it might be of benefit to you. © Ayurclinic Ayurveda Melbourne | All Rights Reserved 2018 – 2020.